from sleep paralysis to insomnia to chronic under sleeping. I love you sleep, I really do. You might be wondering why then I restricted you from my life so consistently. Well, creative passion that strikes after hours is a hell of a drug. So are the late, late nights with friends and lovers.  So is being an insecure overachiever and attaching the very act of doing-anything-other-than-sleep to some sense of my self worth. I was in a twisted but all too common trance. It’s a fun little dance that Life teaches us to do in the pursuit of everything. Not sleeping was so damn satisfying. How backwards is that? I read this and cringe. Days began to feel like a sleepwalk, not in a tired sense but something worse. Without you, I became hyper anxious every morning, depression settled, digestion shut down, hair fell out, never before experienced insulin issues (aka weight gain), my periods became irregular. I could go on but I’ll stop. The health wealth was not stacking up and I felt ashamed to talk to anyone about it. Oh hey welcome to my self perpetuated rock bottom nightmare. Sleep debt is really the worst debt to be in. Carry the debt for too long and the interest you end up paying is, in my eye, one of Life’s most tragic trade offs. I would beat myself up about this. 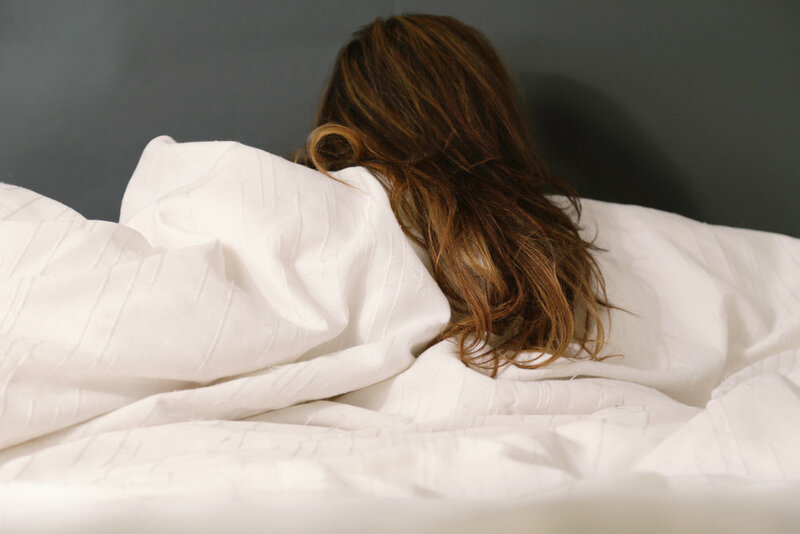 Sleep is so simple, how are you getting this wrong? How loudly will your body have to send a smoke signal to your mind to get this right? I was at a bookstore once, flipped through a few of the pages of the self help book, “Pick Three (You can have it all) Just not everyday” and the author, Randi Zuckerburg, described you as “the pesky thing that eats up 30% of your day (if you’re lucky)”. He said PESKY. He’s got you fucked up as do many of us. I feel the subtle envy when I’m confronted with someone that has bomb sleep hygiene - like my cat. It has taken me years to recover the good things you bring. The lack of you though has led me to experiment with a whole gamut of relaxation remedies and seek out advice from others who make it a daily practice to preserve their wellness. But I’d be lying if I said I’m cured. The many deep, small cuts have been healing slow. Feels good to make progress but the pace is frustrating. In the late hours, the old neural pathways in my brain urge me to overthink, reach for my phone, check an app or keep the lights on and “do work”. It’s tempting and I fall for it still. I’m now terrified that all this accumulated sleep debt will trigger Alzheimer’s as I age and rob me of my most precious memories and lose grasp on who I am. I’m learning and I’m sleeping. My muscle recovery, brain mush cleansing, good skin and happy gut calls for it.